College life is so Good.Faculties were well trained and understanding the student's opinion . 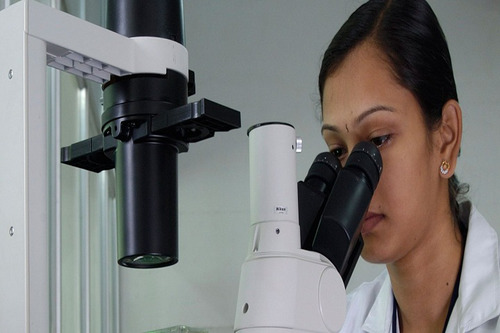 Based on that Faculties give training to our students.About our placement , Institutions arrange many on campus drive and also off campus .Give special training to our students. I like this college faculty members and management support. They gave liberty and freedom to students to do and learn new things. Fantastic library facilities always available with useful academic and general knowledge books. Filled with famous magazines and daily newspapers those things are very useful to develop our knowledge. 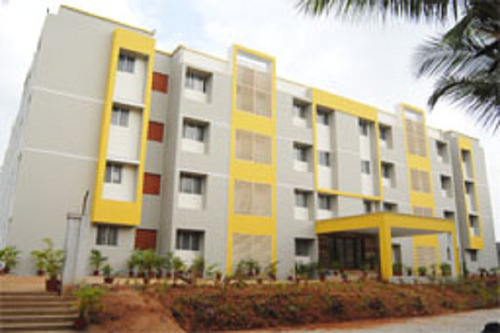 The college infrastructure is good and excellent faculty and they motivate to students. it's going well and I had new friends ,but I don't like a hostel then I really enjoyed my PG life thanks to giving me the opportunity to share with yours thank you guys. From my college experience, I hope to gain many things. Obviously, college is a time that students can truly become individuals. When I attend the college I will have the opportunity to become more independent and to take on new responsibilities. I have always relied on my parents for support, but at college, I will be on my own and will have to push myself harder. This will help me to become more mature and will help me grow in character. Right now I have a fairly accurate idea concerning what I want to do with my life. Yet, I am also aware that I may change my mind several times before I begin a career. The college will introduce me to new and various things, and I will develop new interests from this exposure. During my high school years, I have been very involved in school and community activities. In college, I will also be exposed to new clubs and activities. Involvement in extra events has provided a balance for rigorous course study. With the pressures college brings, I will probably! I want to be involved in many groups. I hope to find a balance between my studies and my social life, and I hope to offer my leadership qualities to my college community. I love my college. It helps me to reach my goal and it is the place where several dreams came true.Faculties here are well learned and are very experienced in teaching profession. 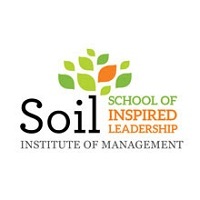 They made me enjoy my course and I am happy to study in this institution. Library :The KSRCT takes pride in having a Library housed in a two-storeyed block with a built-up area of 1458 sq.m.The ground floor houses book stack area, circulation counter and online public access catalog facility.The first floor houses Periodical Section, Reference Section, Book Bank, Reprographic Section and Digital Library.The Library has more than 100000 books and 300 Journal and Magazine Subscription which include National and International. In addition to books and journals, 13 e-journal and e-book packages are subscribed.Book Bank facility is also available for SC/ST students. All the back issues of journals and magazines are bound and kept for ready reference.There is a separate library section for MBA Department. 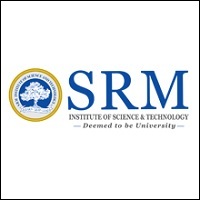 All departments have their own library to cater to the instant reference needs of faculty members.The Library has computerized all its housekeeping operations using in-house development library software that is well maintained and updated regularly. 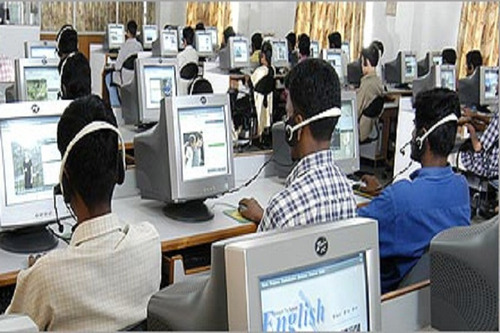 NPTEL video and web courses are also available.It uses the state-of-the-art technology in its function and services. KSRCT Library is a member of DELNET for effective Resource Sharing. 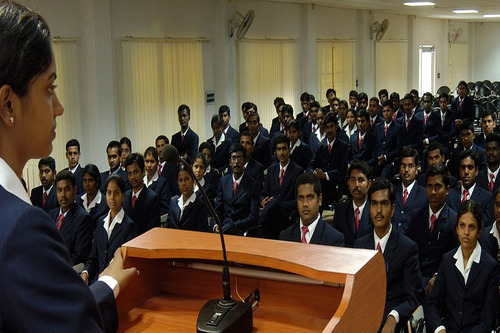 Sports :Students are provided all facilities to participate actively in the sports and games. Coaching for the students in various games under the supervision of eminent coaches is being arranged. 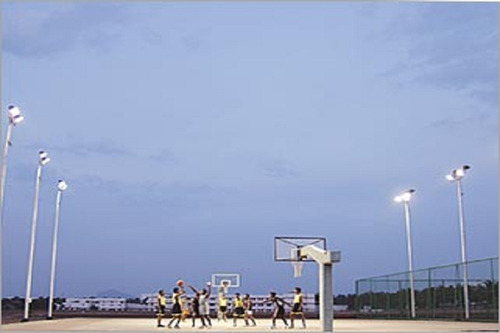 Vast playgrounds (in 11 acres) are provided for sports activities. The facilities available are: Athletics (Standard 400m track with 8 lanes) and cricket field 1 No.Foot Ball field 2 NosHockey Field 2 NosVolley Ball Court 2 NosBasket Ball Court with wooden flooring &amp; flood lights 1 NoBasket Ball Court with flood lights 1 NoTennis Court with flood lights 2 NosBall Badminton Court 2 NosKabaddi Court 2 Nos. I.T Infrastructure :The college has merged with the information superhighway by providing Internet facilities round the clock. 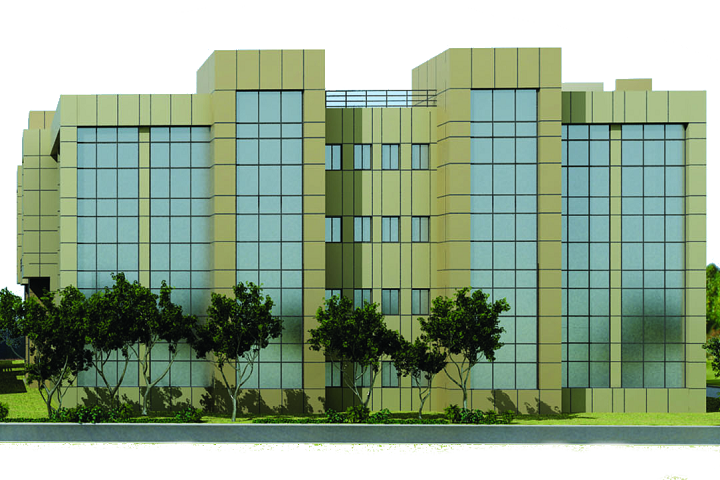 Students and faculties enjoy unlimited Internet access with 40 Mbps bandwidth. Cafeteria :College Canteen has been functioning efficiently. The canteen is located inside the College.A variety of south Indian food and snack items are provided to the students and staff of the college with the highest quality.Canteen has a big kitchen and kitchen staffs take extra care to provide the students and staff with nutritious and hygienic food in the campus canteen.Food items are prepared with RO treated water.It also provides light refreshment like packed snack items, cakes, veg. puff, beverages etc to the students and staff of the college.The waste utilization of the canteen is efficiently done through the waste recycling plant installed in the campus. A biogas plant is installed near the canteen. The canteen and the surroundings are always kept neat and tidy. Plastic bags less than 10 microns are not permitted inside the campus.The management is fully committed to keeping the quality of the canteen for the utmost benefit of all concerned.Canteen is open from 8:00 AM to 6.30 PM on all working days. 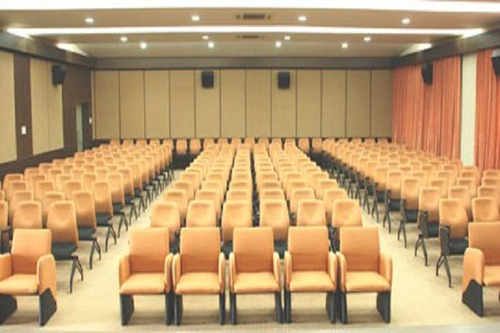 Auditorium :Fully air-conditioned conference rooms, mini air-conditioned auditoriums, and five air-conditioned Seminar halls are available. 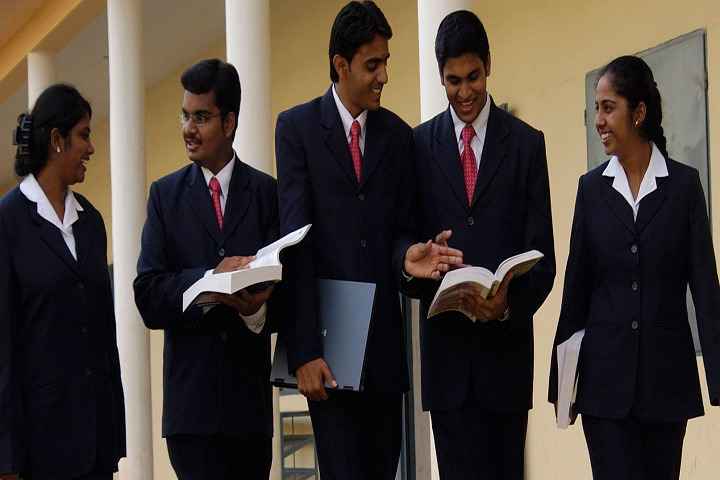 Each department is provided with a seminar hall for conducting recruitment programmes, interviews, personality development seminars, Association Meetings, etc. 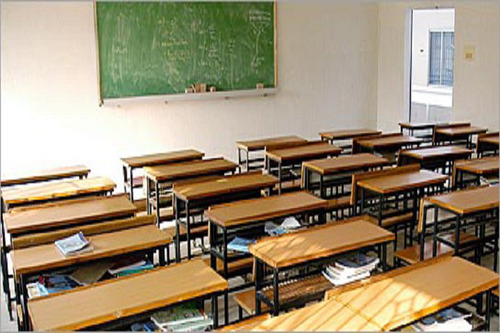 All the halls are provided with the latest Multimedia Projectors, Slide Projectors and Over Head Projectors. 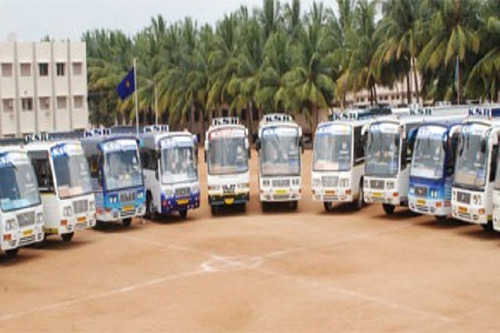 Transport Facility :100 buses are available for the transport of day-scholar students and staff members. 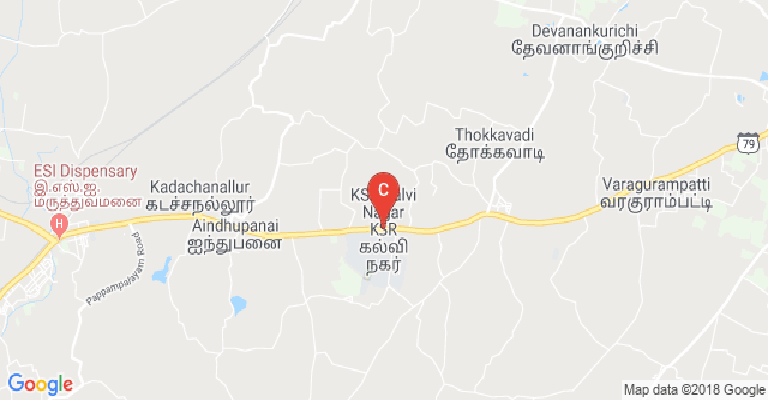 Buses ply within 50Km radius covering Erode, Salem, Namakkal, Rasipuram, P.Velur, and Sankari. A full-fledged automobile service station is available inside the campus. All the services and repairs of the vehicles are done here. Banks/ATMs :The Lakshmi Vilas Bank Ltd. is operating an extension counter within the campus. Students can avail the banking facilities there.